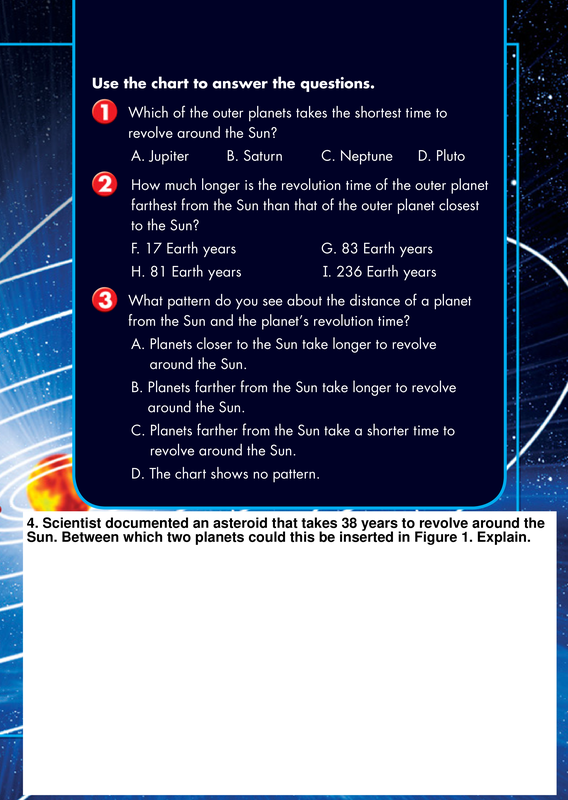 Which of the outer planets takes the shortest time to revolve around the Sun? How much longer is the revolution time of the outer planet farthereset from the SUn than that of the outer planet closest to the Sun? 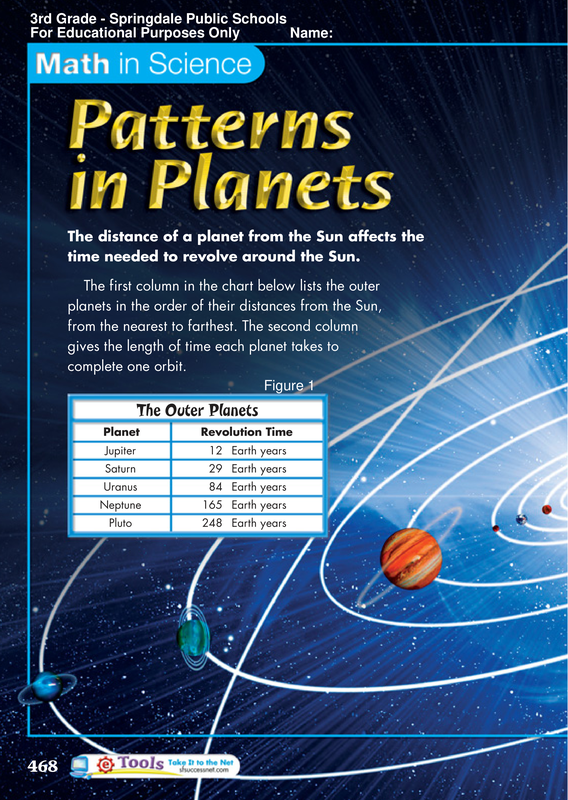 What pattern do you see about the distance of a plant from the Sun and the planet's revolution time? Scientist documented an asteroid that takes 38 years to revolve around the Sun. Between which two planets could this be inserted in Figure 1. Explain.